Flying saucers? Skydivers without parachutes? Mob hits? A wagonload of gold hidden in 1830? 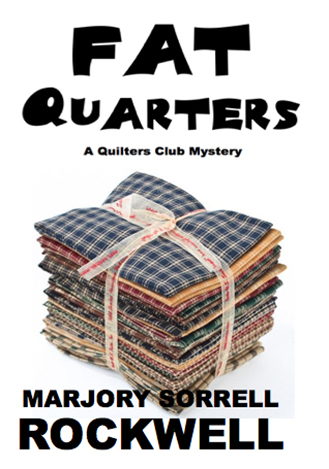 Here, Maddy Madison and her Quilters Club pals solve a murder and locate a buried treasure with the help of her precious granddaughter Aggie and brainiac grandson N’yen … and an antique Map quilt that people are willing to kill to get. 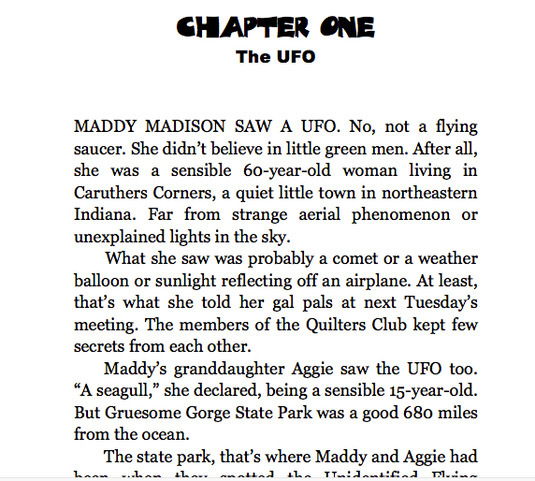 This marks the return of a weird purple-eyed UFO investigator, the appearance of a sinister new antiques dealer, and a rough landing by a pilot known as Upside Down Lou. This marks another visit to the small town of Caruthers Corners, Indiana -- home of the Quilters Club.